Best priced fee simple 3 bedroom unit in town! 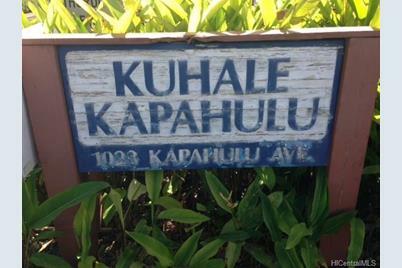 Great location right on Kapahulu Ave, minutes to H-1 East & West, markets, banks, restaurants, Waikiki, UH of Manoa and more places. Only 29 units in entire project. Split level unit with 2 bdrm/1 bath on top and 1 and half bath on bottom.One great feature in unit are the beautiful KOA wall panels. Move in before summer 2015 and take advantage of the low interest rates! Rarely available units, therefore great high owner occupancy percentage rate in project. Located in first bldg "D" on the left as you drive in.Property being sold in as-is condition. 1023 Kapahulu Avenue #27, Honolulu, HI 96816 (MLS# 201503179) is a Condo / Townhouse property that was sold at $425,000 on July 28, 2015. 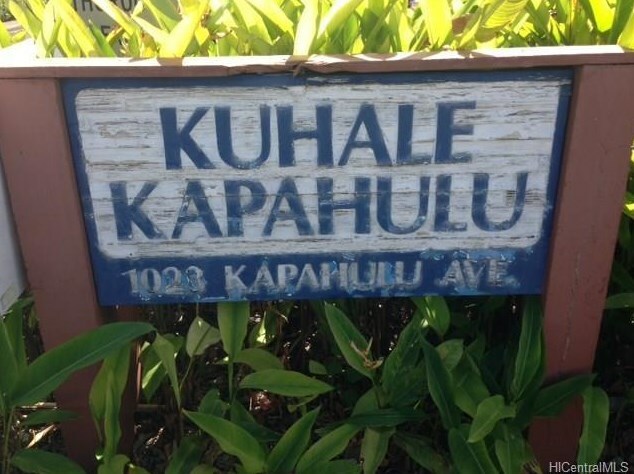 Want to learn more about 1023 Kapahulu Avenue #27? 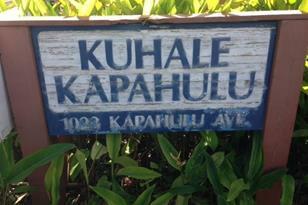 Do you have questions about finding other Condo / Townhouse real estate for sale in Kaimuki? You can browse all Kaimuki real estate or contact a Coldwell Banker agent to request more information.